Turkey is an amazing country with a variety of historical sites, and on seaside resorts along its Aegean and Mediterranean Seacoasts. It is a great holiday destination for culture, spa, and health care tourism. 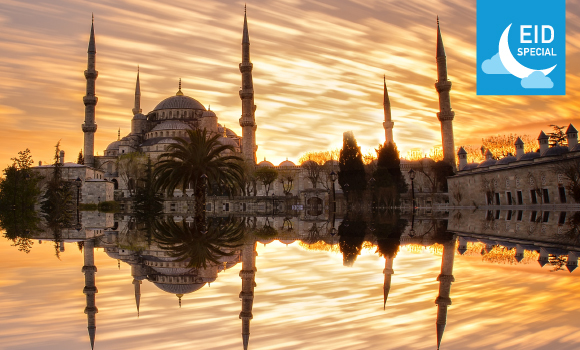 Without a shadow of a doubt, Istanbul – like London, New York or Paris – is one of the world’s great cities. Superbly situated either side of the blue ribbon of the Bosphorus Strait separating Europe from Asia it is, unlike any other city in the world, split between two continents. The old quarter, with its oriental-fantasy skyline of domes and minarets, and its narrow cobbled streets lined with quaint old wooden houses, lies on a tapering peninsula pointing gravely across the straits to Asia. To the south, the blue waters of the Sea of Marmara glitter invitingly. North, across the graceful curve of the Golden Horn, flicker the bright lights of the pulsating entertainment quarter of Beyolu. After Breakfast at the hotel, we pick you from your hotels and start tour at 09:00. Topkapi Palace Built between 1475 and 1478 by Mehmet II, Fatih, the conqueror of Istanbul, served as the residence of the sultan and administrative seat of the Ottoman Empire for 400 years. Hippodrome Center of sport activities and political events of the Eastern Roman Empire. Grand Bazaar Famous shopping center worldwide. Shopping possibilities for carpet, jewellery, leather etc. After Breakfast at the hotel , Pick up from hotel and continue for the tour. Spice Bazaar(Egyptian Bazaar) :The air here is filled with the enticing aromas of cinnamon, caraway, saffron, mint, thyme and every other concievable herb and spice. Boat Trip on the Bosphorus; A traditional excursion by boat along the waterway seperating Europe and Asia. The shore is lined with old wooden villas, palaces of marble, fortresses, and small fishing villages. During the excursion you will pass the magnificent Dolmabahce Palace, and further along, the parks and imperial pavillions of Yildiz Palace. On the coastal edge of this park, is Ciragan Palace, 300 meters of is marble facade faces the shore. At Ortakoy a great variety of artists gather every Sunday to display their work along the street. Unique chance to step from one continent (ASIA) to another (EUROPE)Camlca Hill,The highest point inIstanbul. At the top of it you can rest and admire the magnificent panorama ofIstanbuland the Bosphorus from the beautiful gardens, landscaped in traditional style. Shopping Possibility at Bazaar, exhibits the traditional silk weaving girls at the carpet weaving courses authorised by the Ministry of National Education Possibility to see jewellery, handicrafts center and leatherware show. Free time provided for shopping. Be ready 08:00 am for Princess Island 0Cruise in the Marmara Sea to Princes’ Island by public ferry. During the summer months the Princes’ Islands are popular destinations for day trips from Istanbul. As there is no traffic on the Islands, the only transport being horse and cart, they are incredibly peaceful compared with the city of Istanbul. During the Byzantine period, princes and other royalty were exiled on the islands, and later members of the Ottoman sultans family were exiled there too, giving the islands their present name. There are several historical buildings on Büyükada. 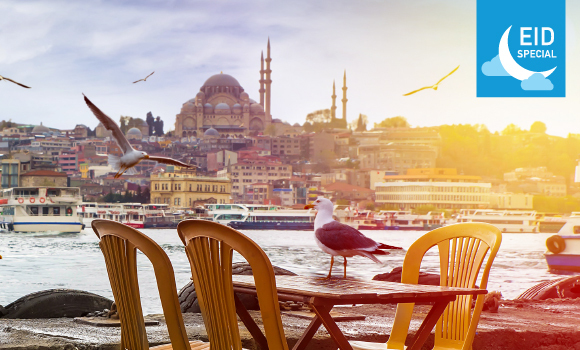 Board your return flight from Istanbul International Airport and cherish fond memories of your trip.